This gem is also known as "Pork Rubbers Original Competition BBQ Sauce." I consider it to be the Holy Grail of BBQ Sauce. I discovered Mary's Gourmet in the warehouse of a pool supply store; back in the day, they used to ship a bottle in some family packs of BioGuard chlorine. Needless to say, I popped cap, took a healthy shot and my life has never been the same. I'm a Kansas City-style sauce guy, so the brown sugar in this beauty really speaks to my inner grillmaster. This sauce is INSANELY GOOD on just about every kind of food, grilled or otherwise. I'm not ashamed to say I still steal a nip (or three) right out my stash bottle every now and again. 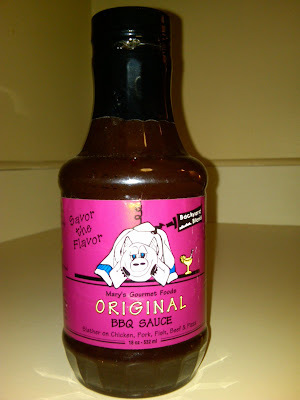 Sadly, Mary's Gourmet BBQ Sauce was discontinued sometime around 2008. If you're savvy/OCD, you might be able to catch a bottle on eBay. If you do, I salute you...you've made it to BBQ sauce heaven.